Make three equally spaced notches along the four sides of a square. Choose one of these three notches on each side. Connect them up to form a simple quadrilateral. For example, here we have chosen the middle notch on each side. 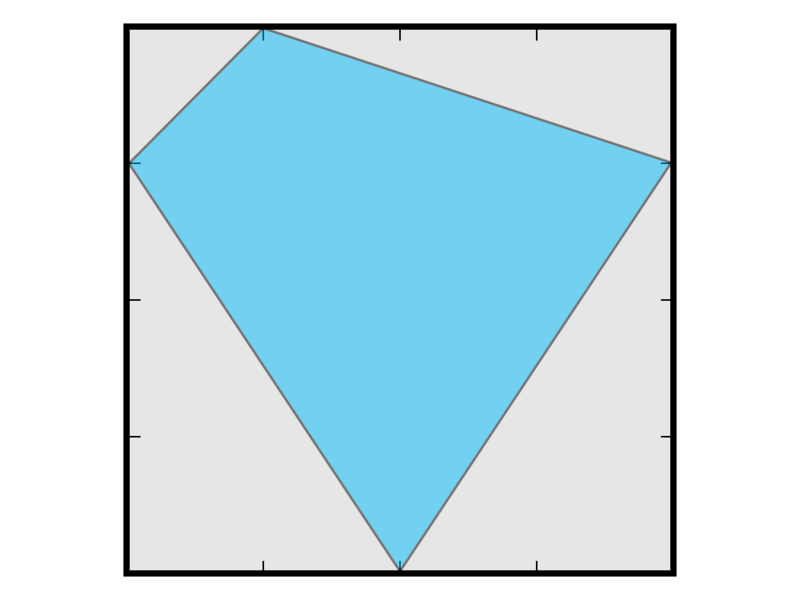 What is the area of this diamond-shaped quadrilateral compared to the initial square? 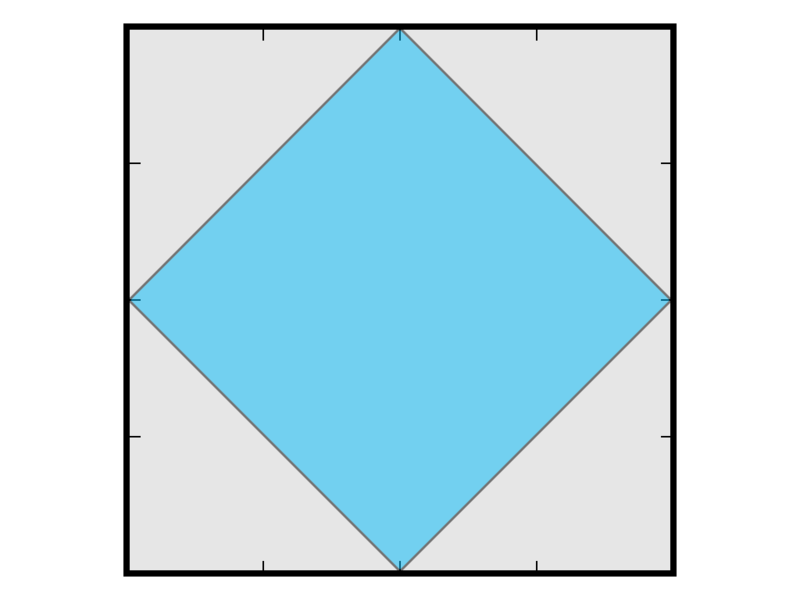 What happens if you chose a different set of points as the corners of your quadrilateral? Calculate the area. 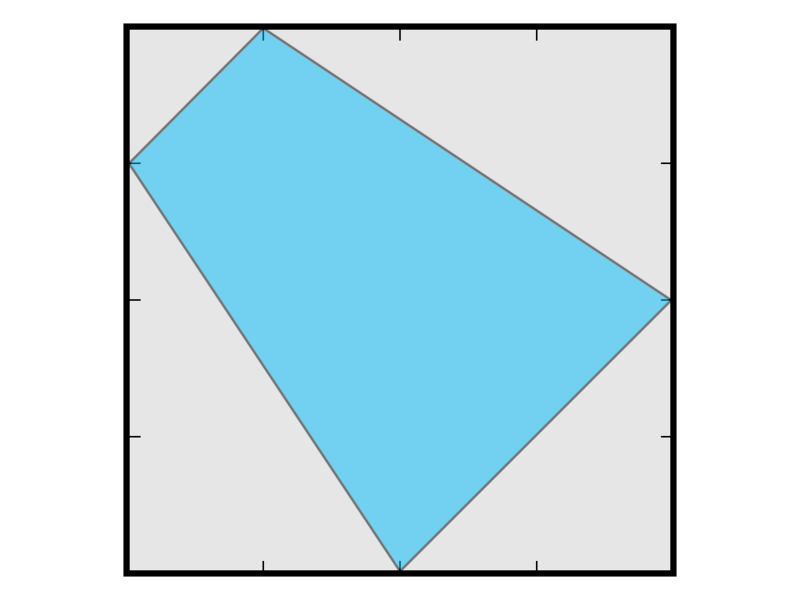 You win if the area is exactly half of that of the big square. How many ways can you win and lose? What chance would I win if I randomly selected the notches on each side? Students practice calculating area of right triangles and making hypotheses. I saw Dan present this puzzle at Nueva school and was thrilled with the beautiful discovery that was made by the students. 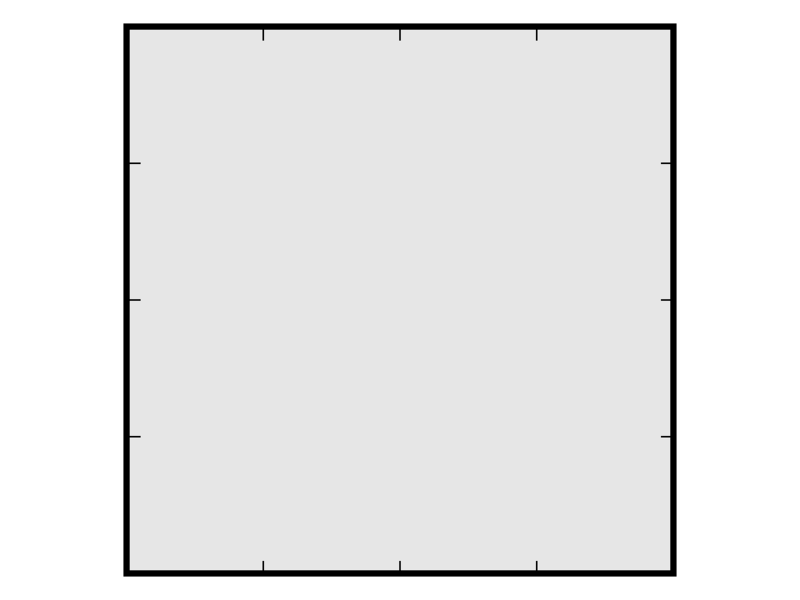 The results can be generalized for squares with more notches, but this is the perfect size to begin. Visit Dan’s web site, Math 4 Love.